Title: Trump's Betrayal of YPG – Paris Commune Falls Again? 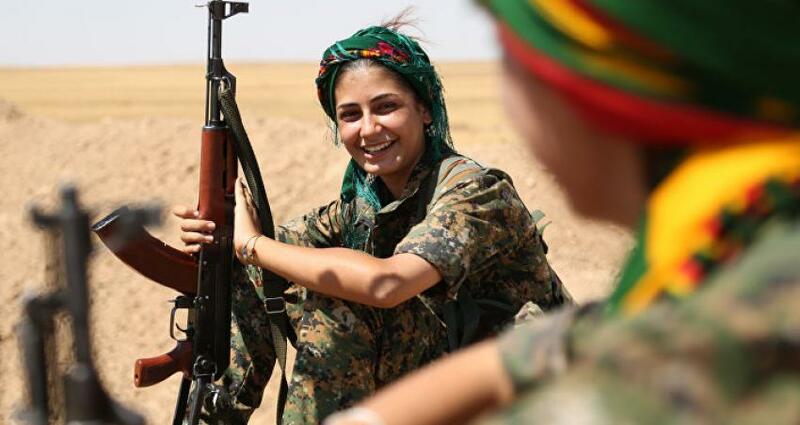 Trump's Betrayal of YPG – Paris Commune Falls Again? December 22, 2018, Vermont -As an American, as a Vermonter, and as a Labor leader I have marched many times against US lead wars. However, I do not oppose wars and US military action because I assert war as always unjust and always unnecessary. I am not philosophically a Kantian; this is not a moral imperative for me. I am also no liberal. If truth be told it was only through war and armed conflict that Vermont and the United States became republics free from the British Empire. And like the US, Ireland would still be an exploited outpost in the same empire if it were not for the force of arms demonstrated by the IRA. Cuba, today, without their victorious 1959 revolution, likewise would remain an economic colony of America. And further, it was only through the Allied war effort that Nazi Germany and Fascist Italy & their murderous ideologies were crushed for generations. But since my birth, from the Vietnam War, to armed interventions against Latin America, up through the invasion of Iraq, I am hard pressed to find a US military intervention that, by purpose or accident, carried with it an intrinsic moral clarity; rather contemporary US military action time and again has been launched to serve the interests of corporations and a tiny minority of wealthy elite. But now, after the YPG/YPJ has diminished ISIS and pushed them into more remote areas, Trump has grown tired of this marriage and his Administration’s true face has begun to look up to again reveal its twisted contours. Trump would have American troops evacuate in order to turn their attention to other more sinister projects (such as those transpiring on our southern border). And no matter that the second largest army in NATO (the increasingly Islamic-Fascist Turks) have announced their desire to launch invasions of northern Syria with the sole aim of crushing this experiment in direct democracy, the United States of America is preparing to look the other way. The reactionary government of Turkey, under President Recep Tayyip Erdoğan, views the YPG/YPJ as a threat in that they represent an alternative not only for Syria but also for Turkey. Further driving Ankara’s genocidal ambitions, is the government’s view of the YPG/YPJ as having close links to the armed PKK (which operates within Kurdish-Turkey and which shares similar politics with their Syrian cousins). What gives Erdoğan & the Turks pause, for now, is the presence of American troops. Once this deterrent is removed, it is hard to envision a chain of events which does not include a devastating invasion of this island of hope, this city on the hill overlooking the chaos that is the Middle East. And no matter how America got there, once America leaves Trump will own the history that follows. If the Paris Commune must fall again let it be known that the invaders were enabled by a country which once called itself great. This op-ed was originally published in The Caledonian Record, Vermont Digger, Ibrattleboro, Enough Is Enough, Anarkismo, The Anarchist News, etc. in December, 2018.